The Great Right Hope, Hillary Clinton? This column was written by Noemie Emery. 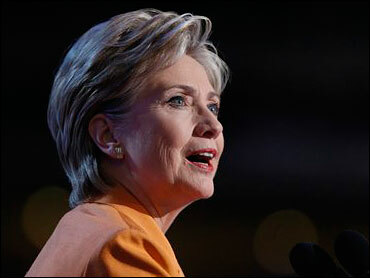 Campaign 2008, which went on for four years, if not for four centuries, was rich in dramatic personae with strange tales -- candidates from Alaska, the Canal Zone, and Hawaii; mavericks, moose-hunters, and multi-racial messiahs -- but none has been so bizarre as the story of Hillary Clinton, who began her career as the wife of a liberal president, who entered the race eons ago as the liberal hope to become the first woman president, and who may end it weeks after the fact as the third female secretary of state in our history, the first ex-First Lady to become a top diplomat, to the relief and delight of many conservatives. How did the feminist wife of Bill Clinton, demonized as a fiend during much of his tenure, end up as the Great Right Hope of the party they bested? The race changed her, and it, beyond all expectations. It was all the campaign. Candidates of course plan their campaigns, but they are defined more than they anticipate by their opponents, to whom they are forced to react. In 1992, Bill Clinton, an interesting and effective middle-way reform governor, planned to run against liberal Mario Cuomo who would have the support of his party's establishment. To his surprise, Cuomo bowed out, and he became by default the establishment candidate. In 2000, George W. Bush, an interesting and effective reform governor, planned to run against fiscal or social conservatives as an inventive and maverick figure. He ran instead against John McCain, the maverick's maverick, and became in his turn the establishment figure, as the fiscal and social conservatives flocked to his side by default. And so Hillary planned to run from the left against Evan Bayh or Mark Warner, with the support of the backers she and her husband had wooed over decades in politics: the civil rights groups, the gay and the feminist lobbies, the glitterati of New York and Hollywood, the intellectuals and/or academics, the mainstream and celebrity press. But Bayh and Warner dropped out early on, and she was assailed from the left and above by Barack Obama, whose appeal to her backers unraveled her base. She critiqued the Iraq war and David Petraeus, but he was opposed from the very beginning. She appealed to the young, but he was still younger. She ran as a star, but he was more new, and more glittering. She ran to make history, but the history he was making was much more compelling, as it spoke to undoing the country's most terrible wrong. As he rose, all her old mainstays began to desert her. The trendies and glitzies peeled off, as did the students. The civil rights lobbies peeled off, as was expected. The feminists split. NARAL deserted, aborting her hopes at a critical moment. Hollywood and the fashion world broke for her rival, who looked like a film star, or a model for the Gap. The media swooned, and began to assail her, deriding her style, and clothes. As her previous base was collapsed by Obama, she responded by taking the only route open: She morphed by default into the champion of middle-aged, middle-class, small-town and middle America; of the more conservative, post-Reagan Democrats; and, by her party's standards, the hawks. In no time at all, Hillary Rodham of Wellesley and Yale became the new voice of the Democrats' social conservatives, defending rural voters and small town inhabitants against charges of "bitterness," saying elites had degraded the culture, knocking back shots of Crown Royal in bars. If Obama was Gary Hart, she was Henry (Scoop) Jackson; if he was the Priest, then she was the Warrior; if he was the Academician, pacific, detached and non-confrontational, she was the Jacksonian, ready to fight for her country and rights. In this incarnation, she began to attack Obama for his lack of war-on-terror credentials, noting that she and John McCain had years of experience dealing with war-and-peace issues, while Obama had speeches. She ran ads implying Obama was not the right person to answer the phone when it rang in the White House at three in the morning with news of a terrorist outrage. She didn't just change, she seemed authentic in changing, as if a woman who had gone through multiple makeovers during decades in politics had finally found a persona that fit her. Martha's Vineyard flaked off, revealing the soul of a Midwestern scrapper. Conservatives watched, with surprise, with some awe, and with some bemusement. Perhaps this was her all along. In the spring, conservatives found themselves pulling for Clinton, in the interests of keeping the Democratic feud going. But as time passed and she refused to dissolve in the face of adversity, a strategic alliance based on convenience became infused with a Strange New Respect. How tough she was. How relentlessly viable. How she resisted the pressure of Obama obsessives, who were trying to show her the door. And how right she was, at least from their viewpoint, and at least upon foreign affairs. "Hillary became the sane one in the race, at least from Republicans' perspectives," as Jennifer Rubin observed as the race ended, noting that she was the one who had ridiculed Obama's plans to meet unconditionally with the leaders of terrorist governments, who had defied her party to vote to classify the Iranian National Guard as a terrorist outfit, who had "looked at George Stephanopoulos with a look of incredulity" when he asked why, if Iran attacked Israel, she would bomb Iran into rubble, or at least smithereens. Hillary had begun the campaign as the former First Feminist and the Empress-In-Waiting, ready to glide back into the White House on the strength of her husband's connections and donor base. She ended it as the Warrior Queen, more Margaret Thatcher than Gloria Steinem, alone in the last ditch as her false friends deserted, (and her husband proved useless), in her own private Alamo, fighting on to the end. The Alamo tends to loom large in conservative fantasies, which tend to feature John Waynes rather than Jane Fondas. Hillary, in the minds of some righties, had crossed over a crucial divide. As for the conservatives, many of those who began 2008 willing to do anything to defeat her tended to end it feeling sorry she lost. They began to tell themselves and each other they would sleep better at night if she were the nominee of her party, for reasons having to do with the now-famous three a.m. phone call. She would not, they said, have gone to Berlin and said that the city was saved by the world coming together; she would have known that the Air Force had something to do with it. As thoughts turned later on to possible cabinet picks, the thought of Hugo Chavez and Vladimir Putin staring into the clueless eyes of John Kerry and/or Bill Richardson roused still more anxiety. Better the steely gimlet-eyed stare of a Hillary Clinton. They feared Iran now, not the former First Lady. The days when they feared her now seemed far away. This explains the elation (okay, the relief) that swept over some in conservative circles when it seemed likely that the steely-eyed stare of Hillary Clinton was what Iran, Venezuela, and Russia were likely to get. Differences remain still with Hillary Clinton, but most of these are on social and size-of-government issues, which in her projected new post would be immaterial, much as they would have been if John McCain had won and then named Joe Lieberman, the one Democrat even more hawkish than Hillary, as his man at State or Defense. As it is, foreign policy is the one area in which her ideas seem somewhat in line with those of conservatives; and at any rate, she is the best thing they are likely to get. For the moment, Hillary Clinton will be the conservatives' Woman in Washington, more attuned to their concerns on these issues than to those of the get-the-troops-home-now wing of her party, a strange turn of events for a woman whose husband was impeached by Republicans just ten years ago, and whose ascent that party had dreaded since she went to the Senate two years after that. It's a long trek from vast right-wing conspiracy to Great Right Hope, but Hillary Clinton, with the help of the far left, has made it. Strange things, people tell you, can happen in politics. But not many much stranger than this.